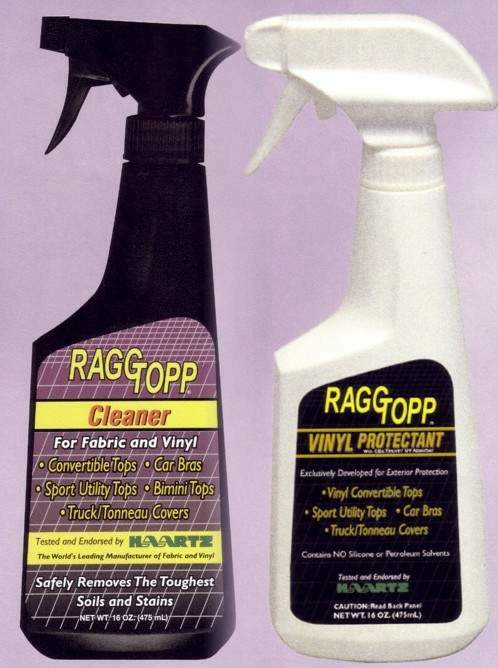 These are the premiere cleaning products for all Vinyl or Cloth convertible top fabrics. 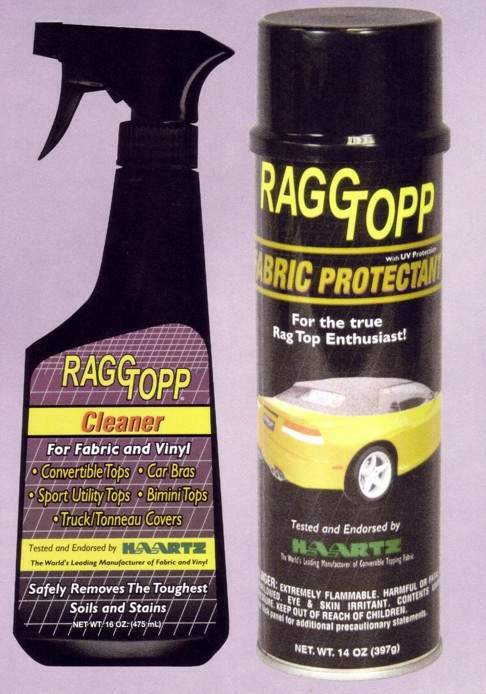 Tested, endorsed and recommended by Haartz as the only product which provides the cleaning power and protection all convertible top materials require to ensure the appearance longevity and appearance of your convertible top. 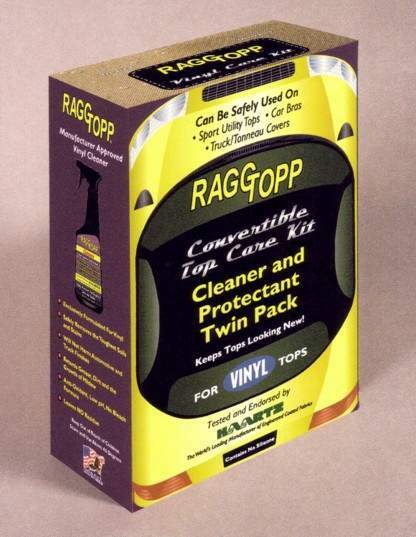 Environmentally safe, no harmful chemicals. 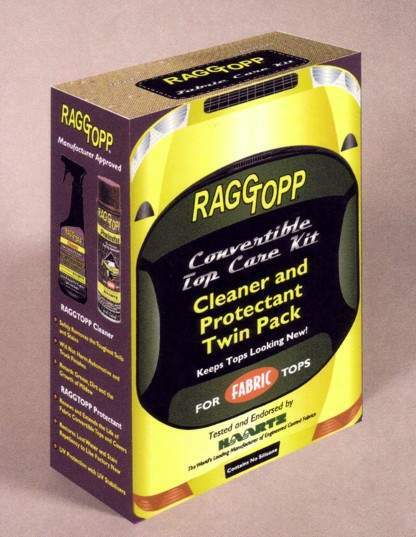 RAGGTOPP TOP CARE KIT *** CHOOSE *** CLOTH CARE KIT VINYL CARE KIT $42.